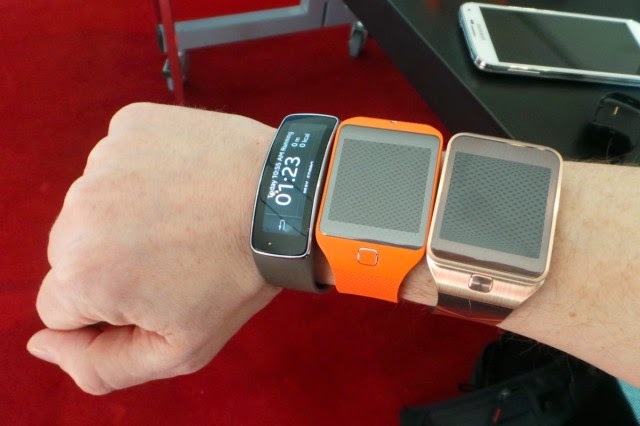 Samsung’s latest revelation of smart watches has been a new entrant in the niche market of smart watches. 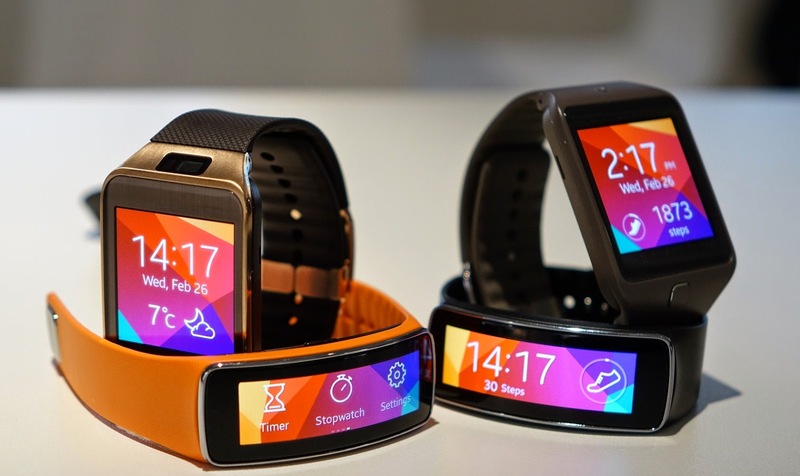 The surprise being , Gear 2 , Gear Neo and Gear Fit all has been dumped by Android and are loaded with Samsung’s own Tizen OS but the difference between the two is minimal. 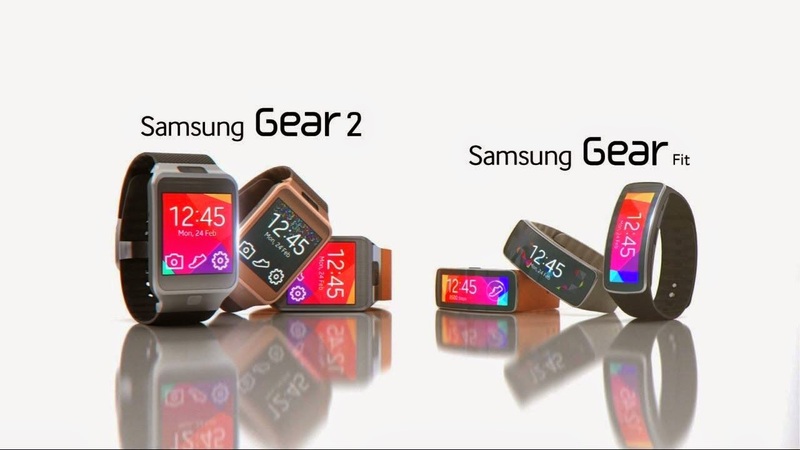 Gear 2 is the flagship product in the lines of smart watches, Gear 2 Neo lacks a camera while Gear fit is more of a fitness gadget than a smart watch. Now let’s have a look into if they are actually smart watches, mere watches or are they really offering something new. Lets start with Gear 2, Well! 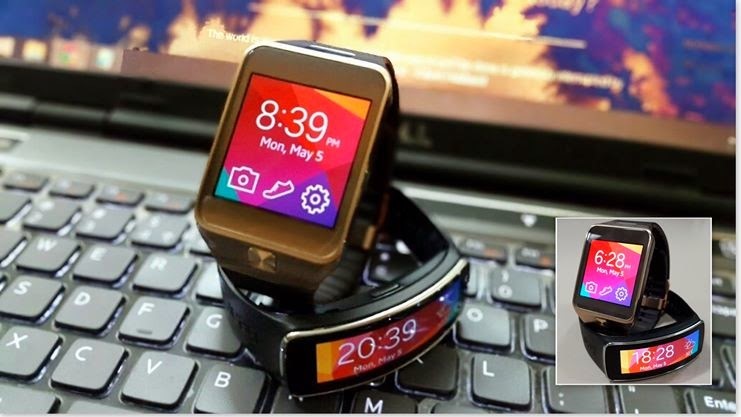 It is a much refined version of the Galaxy Gear smart watch which had been released in the previous year . Samsung has chucked off the bulkiness which had been brought by camera and microphone. While now, the smart watch looks more like normal watch and can be tucked under the shirt cuffs. When the functions are compared it works way much better than its predecessor and is a considerable option if you are willing to replace your traditional watch. From the not so famous previous edition of Samsung smart watch , it has learnt that however techy your watch is, people still consider it as a piece of ornament and thus Samsung has really beautifully incorporated this in its latest edition of three smart watches. The new gears are available in a wide range of colours and the colours of straps s so that users don’t limit themselves and have technology handed with style. Coming to the configuration, a bright, high resolution AMOLED 1.63inscreen makes it easy to read the display while simple swipe gestures makes navigations easy and intuitive. A single button does the switching of your watch while a tap opens up the app of your choice. Talking about Gear Fit. it is more of a band like design. The screen is pretty bright while the simple navigations and text alerts makes the watch easy to use. A single button on the side of the Fit will light the display, and can be set for a double tap app, but again the screen will light up if the wrist is moved to look at it. The best enhancement Samsung has made to the smart watch is the battery life which means you only have to charge the device twice a week and with a heavy use it works pretty well for three days. The charging takes around an hour or twi to get a fully charged watch. The new Gears may be considered waterproof as only to 1m deep for 30 minutes – so they're not for your swimming workout. All the three new watches focus more on tracking, step counting, have built-in heart rate monitors and pacing accelerometers for activity. 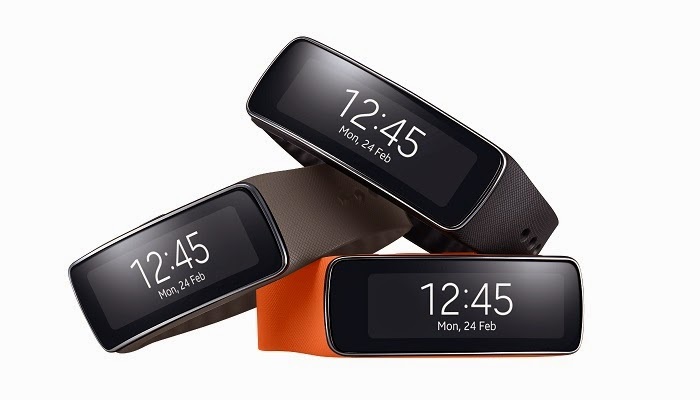 The data is fed into Samsung’s S Health app for tracking activity and general well being . When not connect to external device like Smartphone or tablet, the watch perform standard functions of a watch including stopwatch, timer, fitness tracking, heart rate monitor and activity tracker while also can play music as the watch has an internal memory of 4GB. The Gear 2 and Gear 2 Neo both have an IR emitter above the screen, so you can change TV channels and control other electronics remotely direct from the watch. 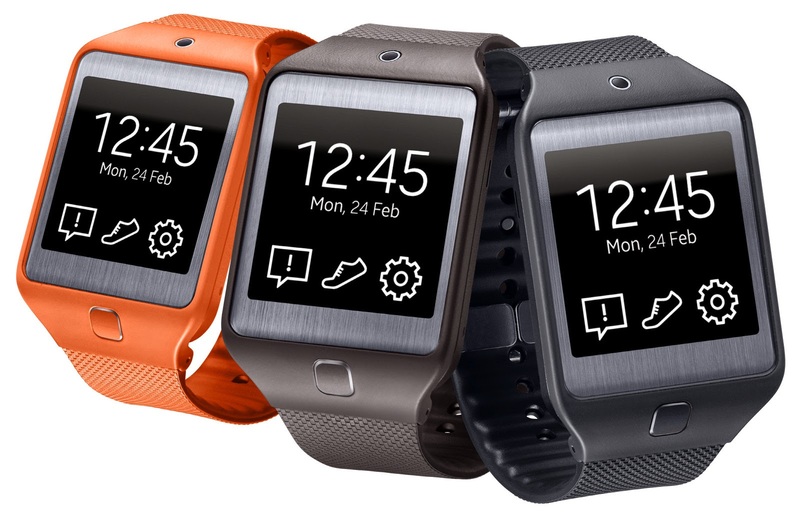 I believe that Gear 2 is probably the best smart watch available to al the technology freaks, given the price, apps and notification handling from all the third party apps. All the three smart watches are must buy depending on your convenience.